Welcome to Tuscany in the glorious month of May – with the superb artist and teacher Dean Fisher! 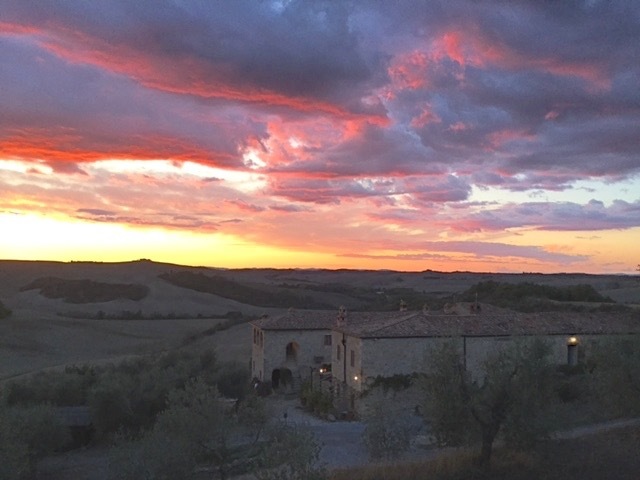 The Tuscany Painting Intensive is an in-depth, week-long immersion in perceptual landscape painting with American painter and renowned teacher Dean Fisher. This course presents a unique opportunity to develop as a painter under the skilled guidance of a teacher known for his ability to build skills; and to recognize and empower each student’s individual vision, aesthetic, and strengths. 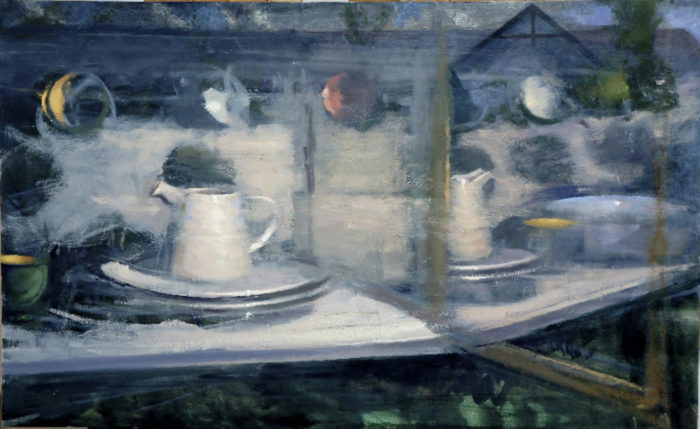 Dean offers a structured and organized approach to perceptual painting and has extensive experience teaching all levels, from beginners to very-advanced painters. Read full course outline here. 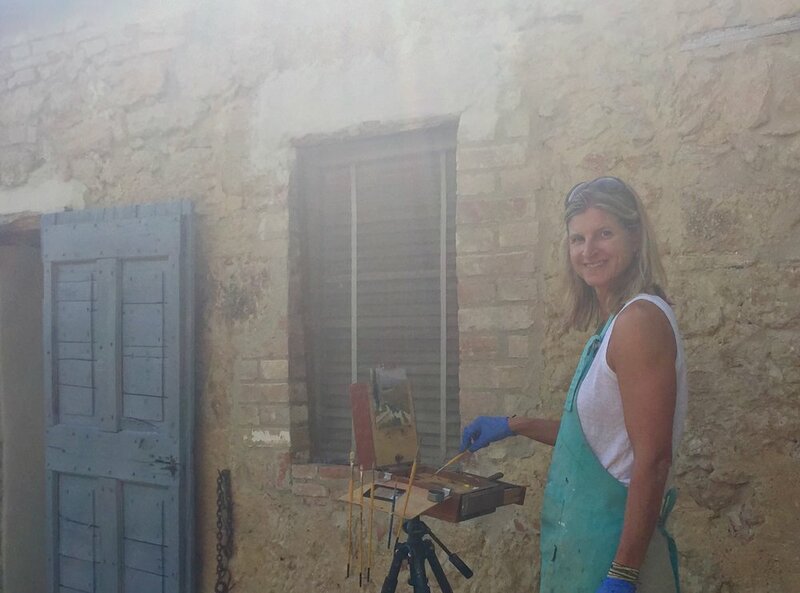 The week is all about painting – doing, talking, living, and breathing it together– immersed in the sublime landscape and light of Tuscany in springtime. Enjoy a rich experience of living the painter's life in legendary Italy – a birthplace of open-air painting. Springtime in Tuscany is incredible to behold. Nature is at her most exuberant in May, the hills are luxuriant with green and full of flowers – including swaths of red poppies. Sublime vistas, old stone architecture, gardens, olive groves, lovely people, friendly animals, and vast skies await, all bathed in the perennial, magical light of Italy. If we get a rainy day, we’ll have to opportunity to paint portrait, figure, and/or still-life indoors in the spacious limonaia, the lemon house filled with natural light, with Dean’s masterful instruction and a local model. 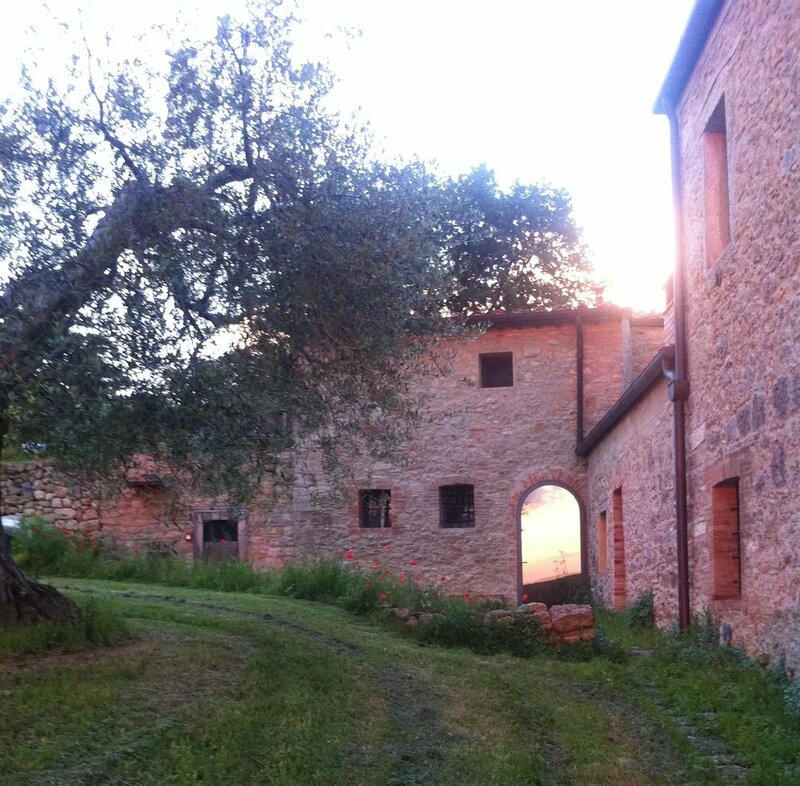 You will be embraced into the best of authentic Tuscan culture and warmly welcomed on this exceptional, historic farm-estate. The whole property and excellent staff is reserved exclusively for the course. And oh the food! Enjoy the epitome of farm-to-table gourmet cooking at every meal, excellent regional wines, and our wonderful Italian hosts taking care of every little thing with grace, passion, and joy. The level of hospitality here is inspiring. 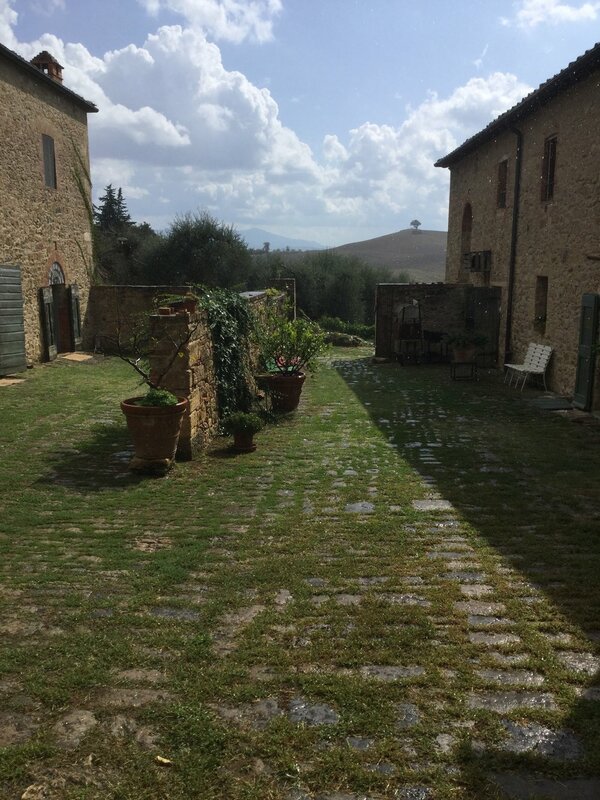 Set deep in the magnificent Val d’Orcia countryside with mesmerizing views in every direction, the historic property is a painter’s paradise. The landscape of this valley in its entirety is recognized by UNESCO as a world-heritage monument. Here, the hand of man has worked in harmony with nature for millennia, creating a visual masterpiece which we can recognize as nearly unchanged from the scenes forming the backdrops of Italian Renaissance paintings. The nearby town, Pienza, is tiny but mighty in its charms. Known as “the Jewel of the Renaissance” or “the City Born of a Dream”, it was re-built in the 15th C by the great Humanist pope Pius II, to embody the ideals of Renaissance architecture and perspective – just as these ideas were being conceptually created. The genuine atmosphere and comfortable beauty of the podere make it an ideal setting to relax and draw on your creative energy. 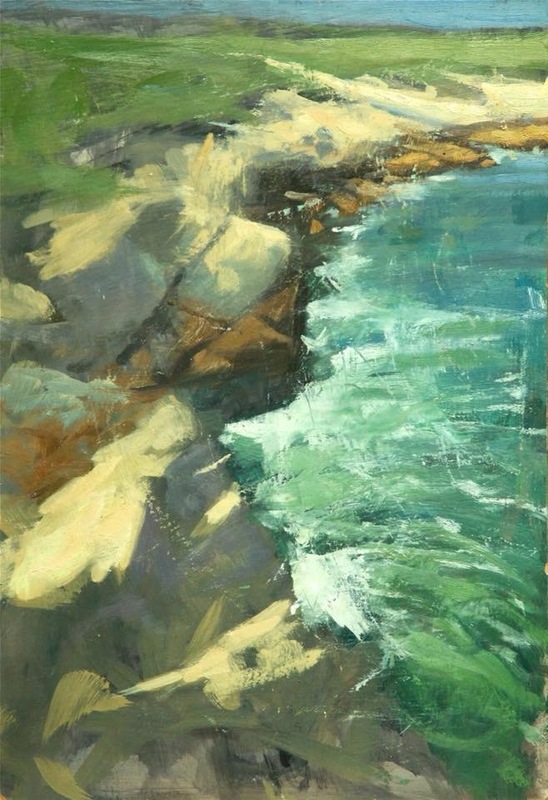 You will do a lot of painting outdoors, alongside Dean and devoted painters from all over, including guest-artist, Josephine Robinson. Your fitness levels should allow you to spend between two and four hours per session painting outside in variable weather. 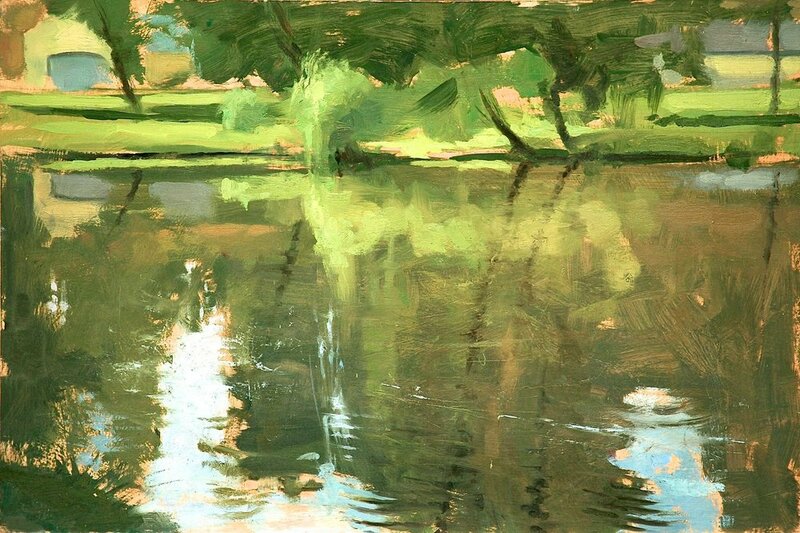 This is a course best suited to painters with some experience but all levels of experience are welcome, as the majority of instruction is on a one-to-one basis, addressing the particular artistic and technical concerns of the individual. The small size of the group will allow ample individual attention. The atmosphere of the workshop is warm, supportive, constructive and relaxed. You are welcome to work as hard as you like, or to take time off when you desire. 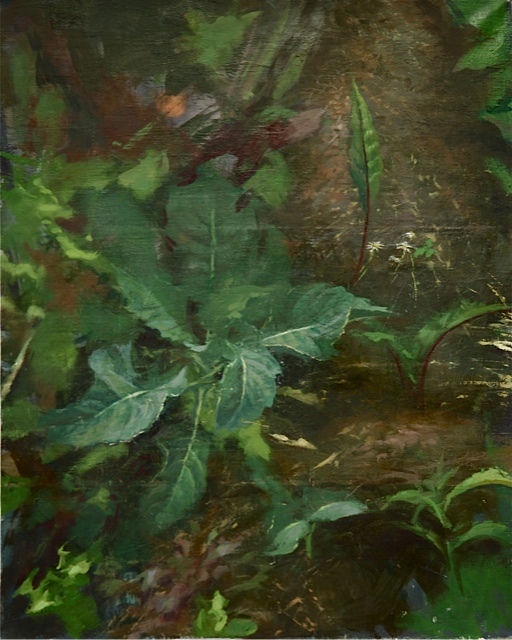 We will be concentrating on small-scale paintings, directly from observation. Be prepared to be inspired, work a lot, laugh, and enjoy great camaraderie with a friendly band of hardworking students and painters. 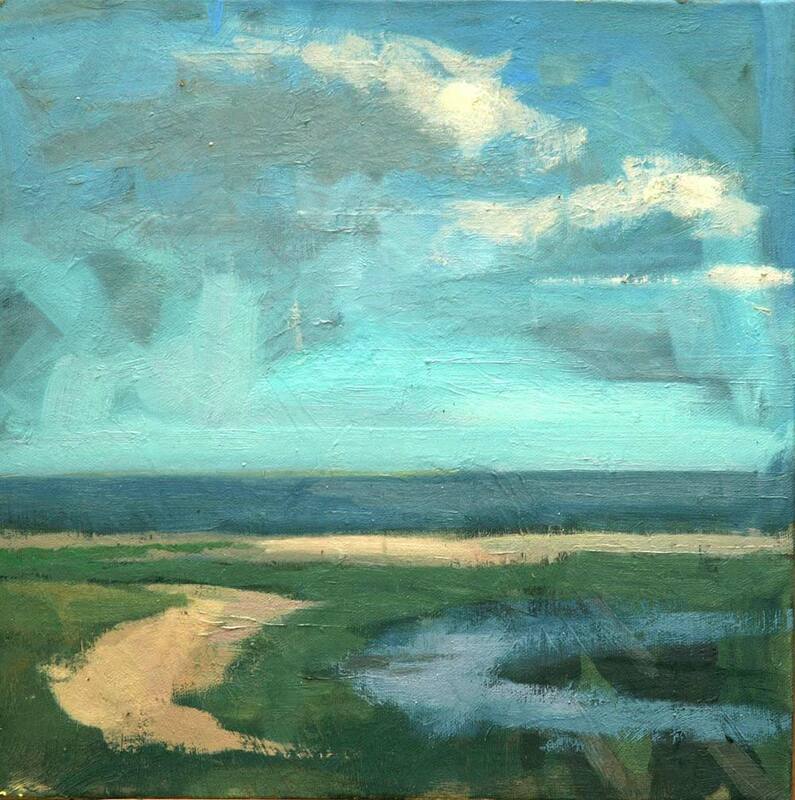 There is much to paint right on our doorstep, so travel time can be kept to a minimum. 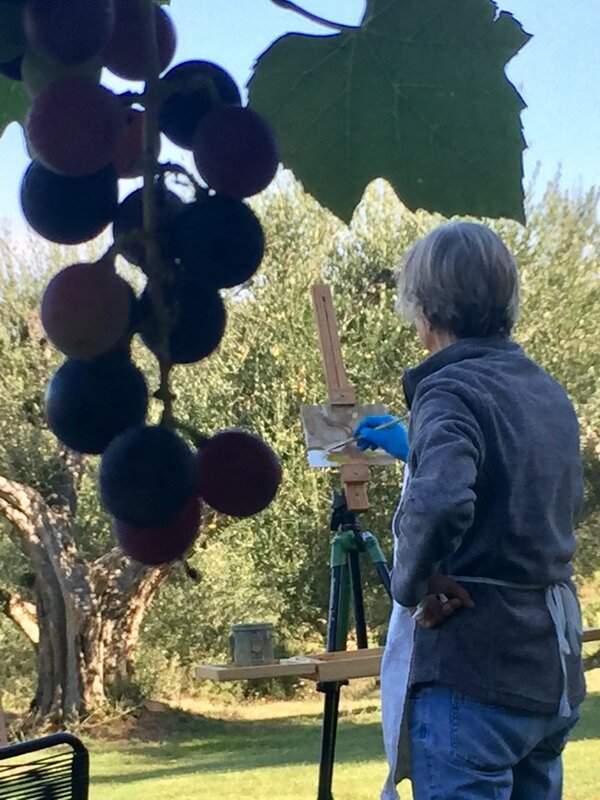 We will also take a few outings to paint in special locations in the nearby area, such as a timeless hilltop village, an ancient abbey lost among vines, wheat and olive trees, and enjoy an afternoon off at a special Brunello wine-estate in Montalcino, owned and run by an eclectic artist. An optional yoga session with Julia is offered early, followed by a bountiful farm breakfast featuring homemade everything including eggs, pastries, breads, local cheeses, fruits, and perfect cappuccinos. We will break for delicious sit-down lunch at the farmhouse about 1pm. This can be followed by a short break or a siesta if you need to recuperate. There will be a further three to four hour session in the afternoon before gathering in early evening over an aperitivo of prosecco and local specialities for an informal, friendly critique and review of the day's work. This is a relaxing and insightful occasion, and always generates productive conversation about the work, as well as renewed motivation for the following day! Each evening we’ll sit down together for a wonderful four-course, farm-to-table dinner prepared by chef Giovanni, served with excellent local wines. 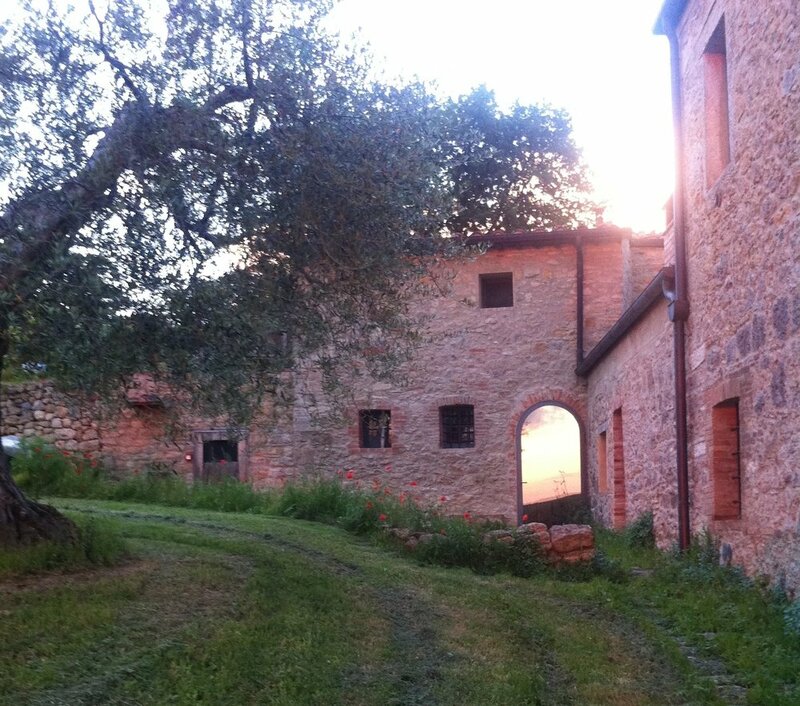 Our authentic podere (Tuscan farm) is a rare gem off the tourist path. The country estate is rustic-chic, comfortable, and very beautiful, and features a pool, jacuzzi, and sauna in their little spa. The imposing structure has Roman foundations, and during the Middle Ages served as a stopover for bishops traveling along the Via Francigena pilgrimage route. The restoration has been carried out to a high-level of style and creature-comforts while faithfully preserving the original aspect of the property as much as possible . The professional kitchen is the epitome of farm-to-table gourmet. Everything is organic and from the farm or a neighboring farm. The podere is run by its owner, my friend Alessandro Capitoni and his excellent team, who all add unforgettable charm to the experience. 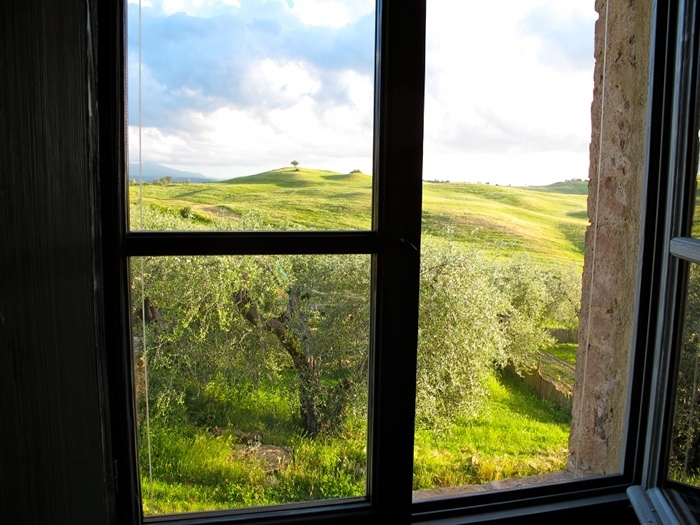 Lovely spacious rooms, all with private bathrooms, and a breathtaking setting immersed in the classic Val d'Orcia countryside. Price includes: Course tuition with Dean Fisher • 7 nights accommodation (all rooms have private bathroom) • All sumptuous meals**: breakfast, lunch, and dinner with excellent wines • Aperitivo each evening with local specialities • Morning yoga with Julia • Tasting and catered lunch at NostraVita Brunello winery in Montalcino • Transportation to/from painting locations • Scheduled group transfer from Florence or Chiusi-Chianciano train station on start/end day. A $900 deposit is due upon registration to hold your place, with the remaining balance due on or before February 5, 2019. Dean Fisher’s workshops are very popular and fill quickly. It is recommended to reserve your space by placing your deposit for registration early. Enrollment for painters is limited to ensure lots of individual attention, and will be given on a first-come/first-served basis. Non-painting friends and partners are most welcome to join, and always have a fabulous time! Our location is perfect for exploring the surrounding towns both famous and secret, thermal spas, walking paths, and other magical sites, either by rental car or bicycle. We can suggest itineraries and bike rentals, and even fully-guided tours if desired. Slow down and savor like a local. Dean Fisher’s workshops are very popular and fill quickly. Space is limited. Register early to secure your spot.